Under the direction of editor in residence isabella burley Helmut Lang is launching a new re edition series. An assortment of 15 iconic Helmut Lang pieces, ranging from denim and outerwear to accessories and knitwear. Each of the items will be re issued from the archives for the very first time. For Re-Edition Volume 1 Helmut Lang presents styles originally released between 1997 and 2005, offered in both men’s and women’s sizing. HELMUT LANG RE-EDITION COLLECTION IS AVAILABLE NOW AT SELECT RETAILERS WORLDWIDE, HELMUT LANG STORES AND HELMUTLANG.COM. astro moto jacket is first produced in 1999. 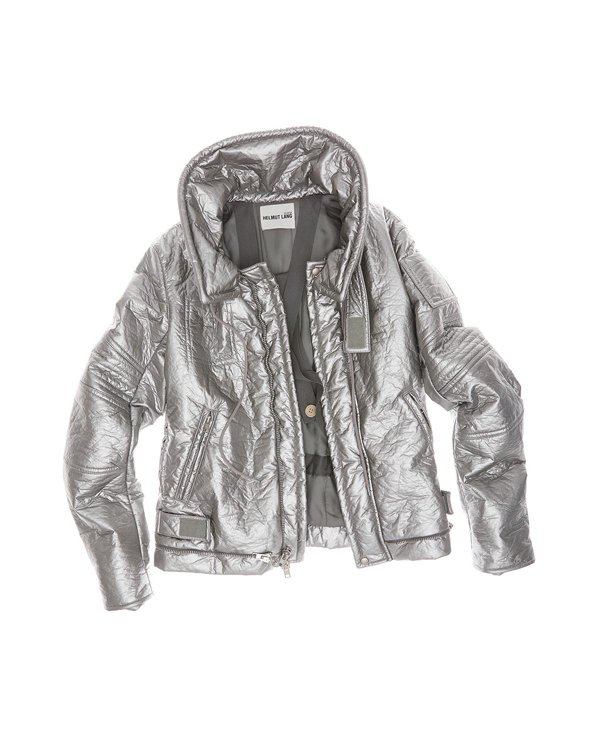 It is a metallic jacket with interior backpack straps.